Using a vertical design is a great way to help your business stand out. The change in orientation makes your cards more memorable. 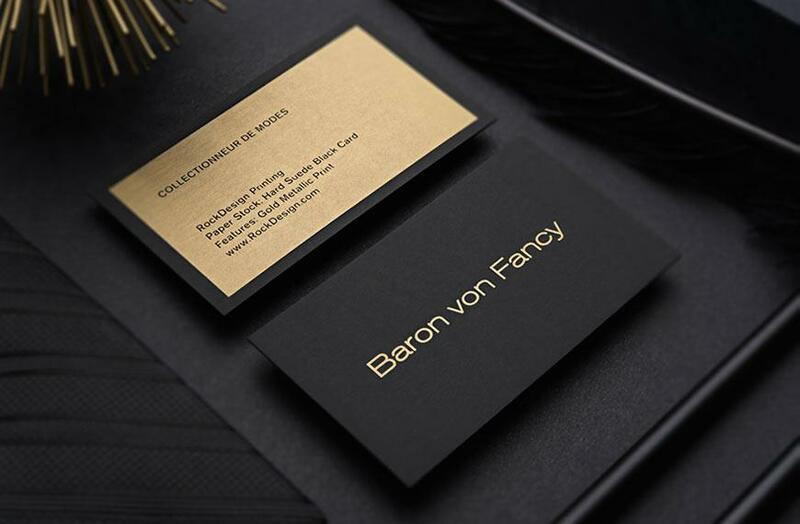 Our Monnet Interior template takes advantage of this by combining a vertical design with creativity and elegance to create a unique business card template. 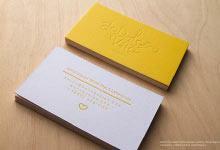 This design utilizes our textured cream uncoated cardstock which provides an intriguing tactile element. 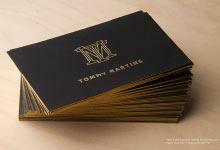 Copper foil stamp is combined with emboss to further the three-dimensional effect of this card design. The emboss leaves the front logo raised while creating a reversed indentation of the logo to add interest to the back of the card. 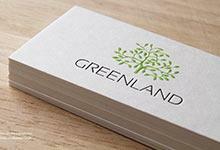 Gray offset print is used to create the background on the front design and one color letterpress is used to produce the text on the back of the card. The overall result is a stylish yet classic look well suited to the interior design industry.